PeriGiene is a rinse-free non-drying perineal cleanser and deodorizer spray. Antimicrobial formula kills bacteria on contact. 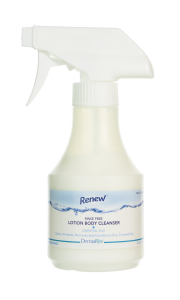 Moisturizes as it cleans with aloe vera. Dye and fragrance free. Contains chloroxylenol.